A lot of you guys do not know that I am actually in the process of creating a children's show. I occasionally buy toys every now and then to fulfill the parts of different characters on the show. 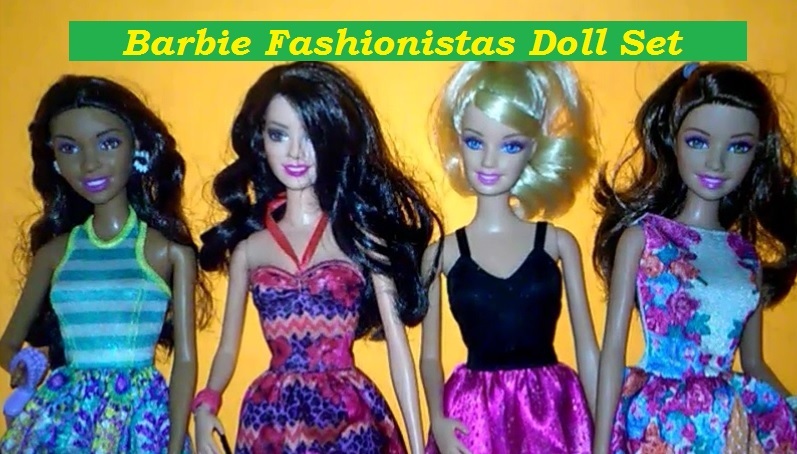 I recently purchased the Barbie Fashionistas Doll 4 pack doll set which comes with 4 dolls. Interested in buying this set? Here are the specifics on the dolls in the set. Check out the video or check out the rest of this post. 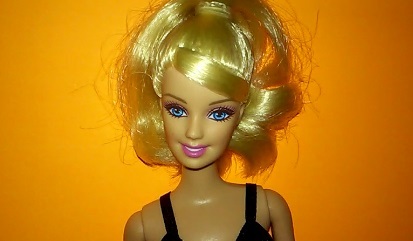 Barbie has her hair in a ponytail. She is wearing a black strappy dress with pink at the bottom. Her shoes are pink as well. She carries a black purse and wears a silver star necklace on her neck. Teresa is wearing a white/blue/orange/pink/purple dress. She has peachy orange shoes. She also wears a white bracelet cuff and a clear bag. Raquelle is wearing a haltered pink and purple leopard print dress. She wears a pink bracelet cuff, black purse, and triangular earrings. She also wears pink wedged shoes. Nikki is wearing a blue and white striped with blue/purple/white abstracted bottomed dress. She has blue shoes. She comes with a lavender purse and white hooped earrings. All of these dolls are around 11.5 inches when they are not wearing their shoes. I would definitely suggest buying this doll set because it comes with 4 dolls at a decent price. What is your favorite Barbie Fashionista doll and why?